Happy Monday everyone! I am hitting it hard this week with getting organized. Getting all my outfits planned for upcoming posts. Working on lots of fun projects etc. But first let's shop! I have teamed up with StyleWe to show you my favorite pieces from their site. Stylewe.com is an online store that sells designer clothing for women throughout the U.S. There are so many different styles for every woman. It's never been so easy to find unique pieces to add to your closet. I love this gray floral pleated dress. It's so classic it reminds me of The Great Gatsby. Perfect for a night out. Even for Valentines Day coming up. It's got a very romantic feel to it. This sweater is so gorgeous. I love the neutral colors. I love the fringe. It's a perfect sweater not just for Fall but all year round. 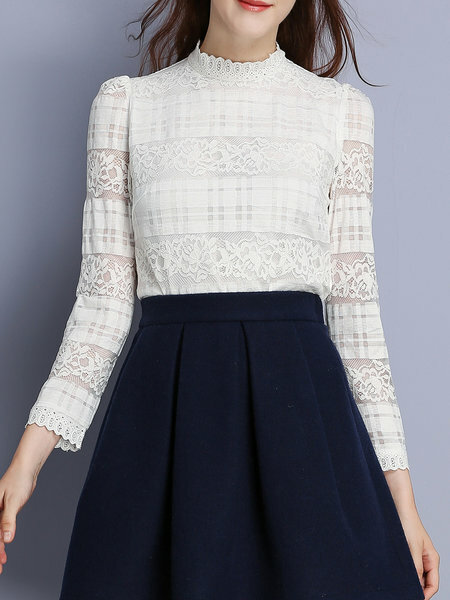 This lace top is so beautiful and timeless. I love lace for that very reason. It will never go out of style. I love this look it's got a vintage feel while still being current and on trend. * This is a sponsored post by Stylewe.com. All opinions are my own.